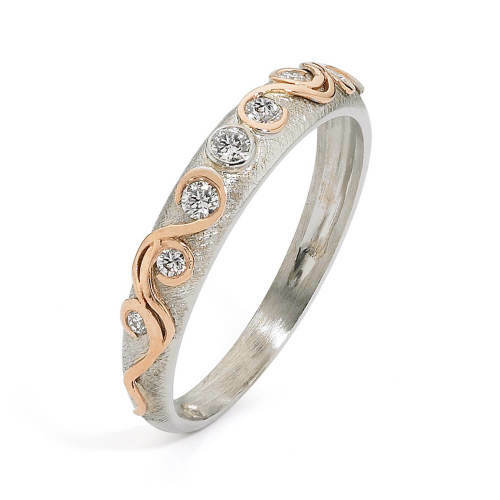 18 kt white and rose gold wedding band with 0.07 ct diamonds. 18 kt white and rose gold wedding band with 0.07 ct diamonds. Also available in platinum.